From November 8th to 10th, 2011, the long-time partner of our Group, Nacel education Group had launched the “Training of Foreign Teachers of International Courses ” in our school. Doctor Erin, teaching director of Saint Paul High School in the US which was subordinated to Nacel Group, foreign teachers Todd, Killian, Mark, Wean and all English teachers of our school had attended this training. This training focused on how to improve the quality of ESL language courses. The Nacel Education Group was established in 1957, which owns more than 50 globalyl related schools including University of St. Thomas-Minnesota, which was the top 120 in the US, and Saint Paul High School. Currently, this Group had successfully launched “Beijing-Saint Paul American School” and “Shanghai Saint Paul American School”. In March 2010, Weiming Group had cooperated with Nacel to develop “Saint Paul 2+1 American International Class” in our Guangzhou School, with limited enrollment of 20 to 40 students. Those students had American school records and credits, taking American original courses and text books. Except for courses of Chinese culture, all other courses were taught by distinguished teachers in Nacel with American Teachers certificate. Upon graduation, students could 100% be upgraded to good quality high school and apply for world famous universities such as Harvard, Yale, Stanford, Princeton Universities, etc. According to the deployment of our Group, our school would officially introduce the projects of “Nacel international educational courses” and “American Saint Paul international school “in 2012. In order to enhance the ESL learning ability of students and help them adapt to the American course structure system and methods, we hired 4 outstanding foreign teachers to teach them. Since its establishment, Guiyang Weiming Experimental School had been positioned as “International School with Chinese and Western Characteristics”, which was devoted to “fostering modern talents with Chinese souls, international insights and competitiveness”. We expected that the Group could choose good international education partners to launch international education project in time. 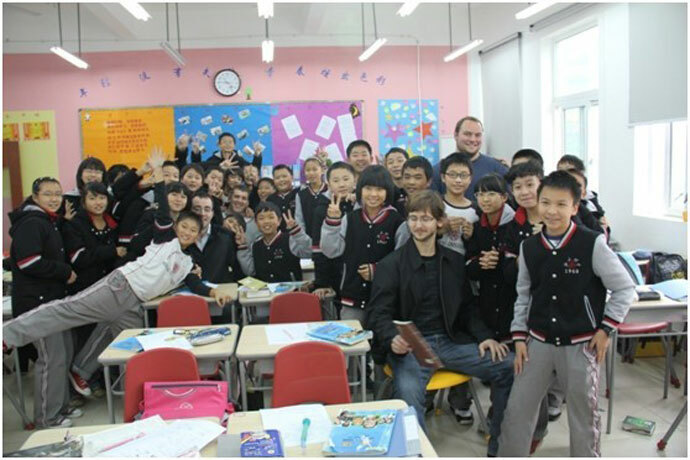 So that students could "attend American schools in Guiyang”, and grow up in educational environment with Chinese and Western characteristics, helping more children to realize their dream of going to “world famous universities”, and making contributions to the internalization of Guiyang education.